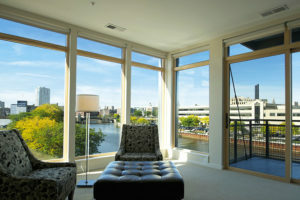 Windsor Windows and Doors demonstrate the high values we ourselves embrace. Their company provides a superior product with proven performance. The innovation marks are high and so are the high points they score for beauty and style. They manufacture products that are both long lasting and energy efficient promoting the least possible impactful carbon footprint. The flexibility and wide range of options and choices will satisfy nearly all designing goals. If you would like to create living spaces with vibrancy and positive energy filled with natural light, Windsor Windows and Doors are a top option. If the look you are after is to create something with more traditional roots, you will find many available choices for creating that particular look. Country elegance or country rustic – yes – this too! Many people are energy consumption and environmentally conscious these days. Windsor Windows and Doors products can be ordered with the ideal energy saving rating that is exactly right for your individual needs considering both location and personal preferences. This company has thoroughly researched and tested designs to find the most energy efficient materials and construction techniques. The least amount of energy needed to heat and cool homes is their eco-friendly pledge and commitment to the conservation of the planetary environment. Using superior products and designs that result in a long product life reduces the planetary demands for resources. You can check out their impressive array of certifications and affiliations on their website, the link is provided below. 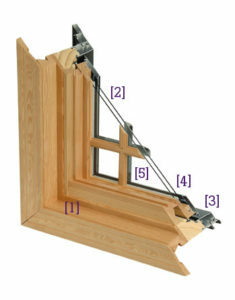 Various window types and constructions offered are: awning, casement, double hung, glide-by slider, fixed/direct set unit. You can build combinations of these to achieve any desired visual effect, energy consideration or atmospheric condition. Window products come in a great selection of colors. You can match existing interior colors or change your accent colors altogether if you wish. 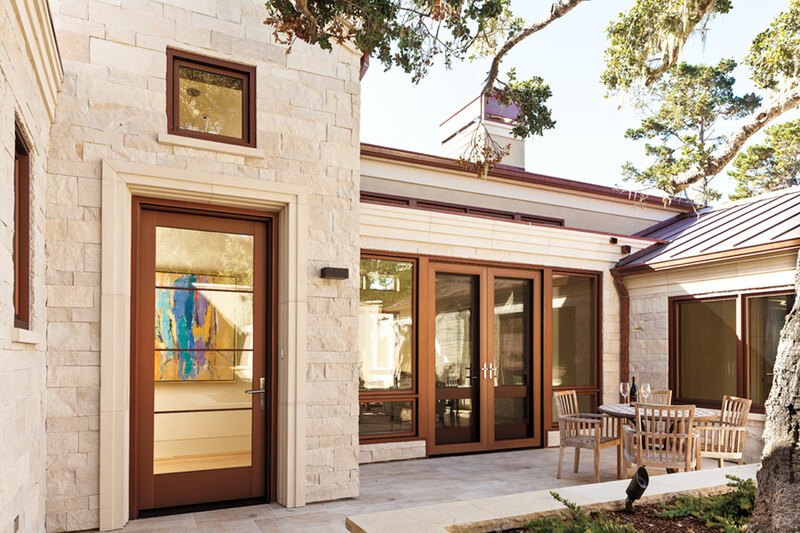 Door configurations are available in many designs such as, sliding patio door, swinging patio, bi-fold patio door, or multi-slide patio doors. Again, the possibilities are endless when you include the design elements, the huge number of colors available for each product design and the various choices in energy efficiency per door type. 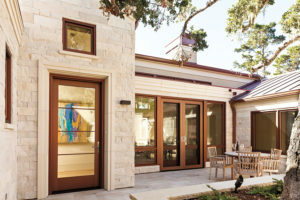 Windsor windows and doors come in so many varieties and selections they offer a built-in tool on their website to help with the creative process. Our friendly and knowledgeable staff at Fusion can assist you with this process as well. If you love your home the way it is and simply wish to add a new statement or accent, Windsor window replacements have all your needs covered. Maybe you just want to let in the stream of sunlight to invigorate a certain living space. Or perhaps you need a well-ventilated option for a particular area in your home. Using Windsor window replacements, you can do so to stunning effect and efficiency. 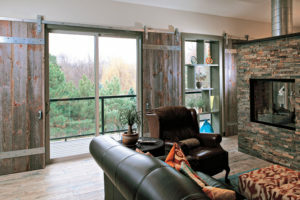 Would you like to replace the old hard to open patio doors that are clunky and stained? Windsor window and door replacement makes this prospect a powerful transformative proposition. You will find galleries and product design information as well as a fun, easy to use design tool that makes the whole selection process enjoyable and stress free. We provide you with Windsor products to cater to all your highest visions for your home upgrades and new construction projects. Windsor doors and windows are crafted to provide a high quality finishing touch on any home design. Windsor manufactures in three distinct framing styles, Pinnacle Wood, Legend Cellular PVC and Next Dimension Vinyl. Rich beauty combined with energy efficient qualities and durable exteriors are what separates Windsor from other manufacturers. Strength and beauty shine through in Windsor’s Pinnacle products. Only the finest pine, alder, and fir are used for use in the finest homes. Whether your look is classic or contemporary, you will be making a bold statement with Pinnacle wood clad and primed windows. Convenience meets dependability with Next Dimension vinyl windows by Windsor. Windsor’s advanced technology ensures easy operation, superior energy efficiency, low maintenance, and high performance. Because these Windsor windows are built with vinyl extrusions, superior weathering, durability and color retention are ensured. 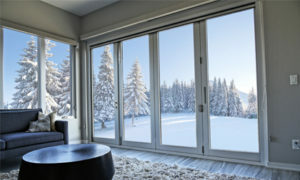 The superior technology provides a glazing system that is top of the line in terms of energy efficiency. Create the perfect setting in your home bringing the outside in with Bi-Fold Patio Doors from Windsor. Available in a wide variety of sizes, colors, and hardware configurations. If you are interested in a contemporary look our narrow stile bifold option allows for more glass and expanded views.